Coriander Girl: Got to get up! Hi everyone! Thanks for checking in. So, I'm always pretty open in my writing but lately I've been so busy with wedding season and who am I kidding?... just being a business owner that I barely have time to get really real, you know? Things are changing though, my priorities are shifting and I'm looking forward to getting back to my writing here. You guys know the story? When I opened Coriander Girl over three years ago I had no idea what I was in for. 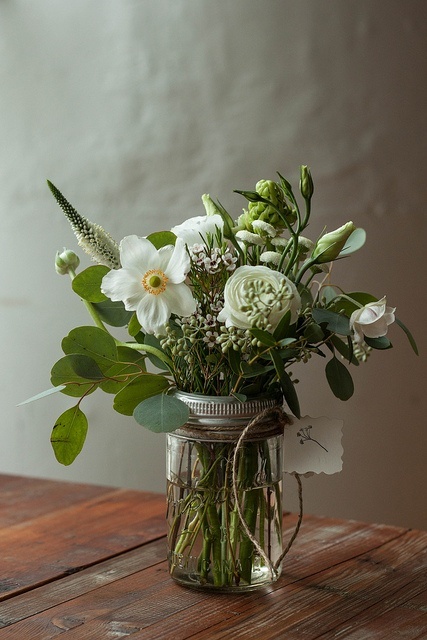 I just liked flowers and I wanted to bring sweet little garden inspired arrangements to my community, we were sans florist from Dufferin to Roncesvalles. I believed in my little dream so much that when I saw the "for rent" sign, even with only fifty bucks in the bank I signed a three year lease, then ran home to write my business plan. After only six months blog TO said we were one of the TOP TEN florists in Toronto, TORONTO?! House and Home magazine did a full page shop story! This isn't me bragging, this is me still as shocked and amazed as the day I read that. I'm self taught and so it's really hard not to feel like a fraud sometimes. I'm waiting for the flower police to show up or something. Certainly, by now, the hours I've banked I can call myself a florist but it wasn't always so. The first few weddings I sat up all night wrapping boutonnieres in front of You Tube or passing it off to Kerriander because I was too scared to screw it up. My friend Sarah(fellow florista) and I spend a lot of time cursing wrist corsages. The one thing I do know is that it was my true love of flowers that inspired my wee shop and it's the reason we moved to a bigger location after only 2 years. I am never more happy then when I'm making arrangements, late night dance parties, the rabbit circling my feet. Certificate or no, it's what I was born to do and I believe that's why it's working. My dreams are starting to come back in view, this summer was so intense that I could barely breathe let alone dream but now with more time, more frequent trips to "the church" (our home/sanctuary in Quinte West region where I'm currently writing this) I've got my mojo back! I feel hopeful and excited for Coriander Girl. There is nothing better than feeling hopeful again. You might know me to be little miss sunshine and rainbows but even I can fall in to the depths of despair. Here's to fighting for our melancholic hearts to sing again! Here's to being ok with doing absolutely nothing at all and regular dance breaks to lighten that heavy heart. Whose with me?! Dance it out with this new Serena Ryder favourite, Stompa. And happy 30th wedding anniversary to Mama and Pop. You guys are amazing. The passion you feel for each other after 30 years is an inspiration to us all! Your arrangements always are so fresh and natural looking. Its no wonder theyre so popular! Hope next year is the best ever. thank you this is amazing and useful information informative العاب بنات 2018 i will share all this important info with my other friends nice job.